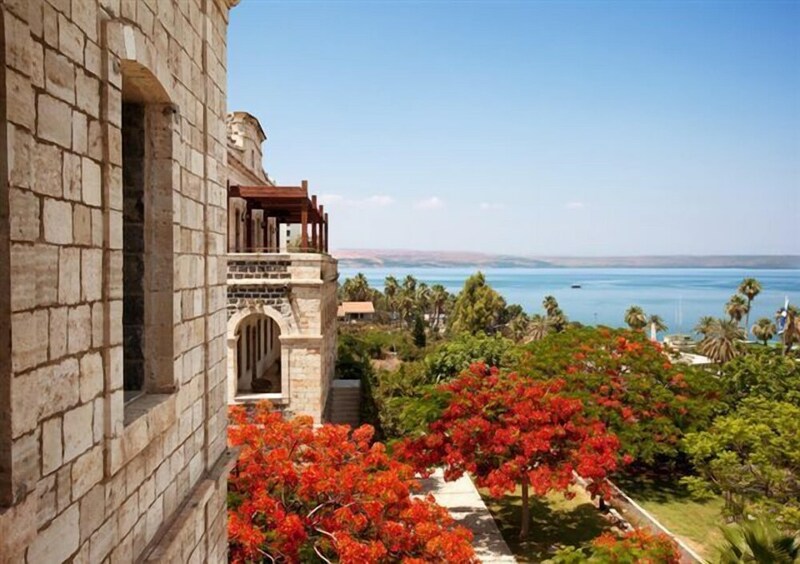 With a stay at The Scots Hotel in Tiberias (Tiberias Old City), you'll be within a 5-minute walk of Sea of Galilee and Saint Peter's Church. This spa hotel is 0.3 mi (0.5 km) from Tomb of Maimonides and 0.6 mi (1 km) from Amdur Fine Gallery. Make yourself at home in one of the 69 air-conditioned rooms featuring minibars and LCD televisions. Complimentary wireless Internet access keeps you connected, and satellite programming is available for your entertainment. Private bathrooms with bathtubs feature rainfall showerheads and complimentary toiletries. Conveniences include phones, as well as safes and desks. Pamper yourself with a visit to the spa, which offers massages, body treatments, and facials. You can take advantage of recreational amenities such as an outdoor pool and a 24-hour fitness center. Additional amenities at this hotel include complimentary wireless Internet access, babysitting/childcare (surcharge), and gift shops/newsstands. For dinner or brunch, stop by Main Restaurant, a restaurant that specializes in Mediterranean cuisine. Dining is also available at the coffee shop/café, and room service (during limited hours) is provided. Unwind at the end of the day with a drink at the bar/lounge or the poolside bar. A complimentary full breakfast is served daily from 7 AM to 10 AM.